Pearson Sound, Polder, House Of Black Lanterns, The Perusader, Luna City Express and more. This show was 60th in the global tech house chart. 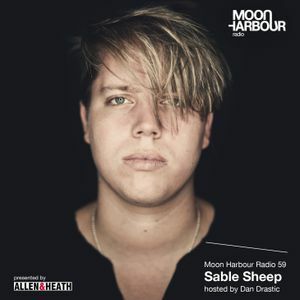 This month’s Moon Harbour Radio guests our favourite Metal enthusiast Sable Sheep. His tight set shows again that he feels at home between rough, minimal Tech-House jams and dark, but groovy Techno. Moon Harbour Radio host Dan Drastic fills the first hour with new tracks by Sven Tasnadi, Luna City Express, Doorly, Einzelkind, Mosca or Pearson Sound, amongst others. The Moon Harbour Radio Show is presented by Allen & Heath.